Max Planck’s principle, physics, and constant: He knew how to change his mind. 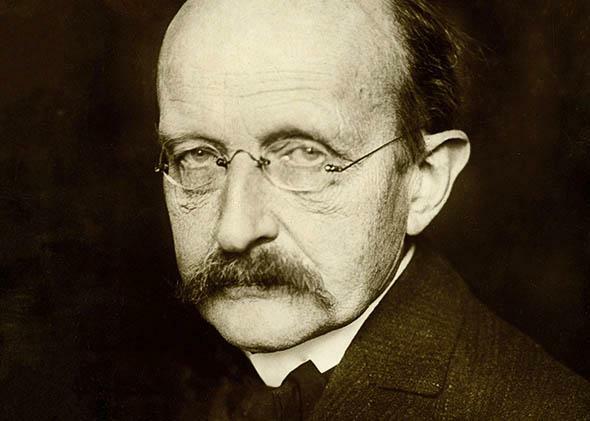 Max Planck, the unlikely founder of quantum physics, knew how to change his mind. Max Planck never relented in considering each new grain of information with the same fervor as the first. We live in an age—perhaps the age—of confirmation bias. And given a turbulent sea of information, who can blame us for latching onto the familiar while looking away from anything jarring or mismatched? We yearn for the comforts of our main tribe, be that tribe political, religious, scientific, or economic. If that’s a failing, it is probably a hominid design flaw, far beyond evolutionary recall at this point. I just spent three-plus years writing a biography of the German physicist Max Planck, and I was most struck by one of his qualities. Yes, he was incredibly rigorous, mathematically adept, and intellectually fearless. But what stands out is that this rigid Prussian gentleman could and regularly did change his mind. When I say that Planck could change his mind, I mean that he kept hunting, always. If he found a rich subject area, he kept his senses attuned for changes, eager for new ideas and ready to abandon them if evidence suggested a better one. And these were not minor changes. We’re not talking about reforming one’s view of a congressional bill. Early in his career, Planck strongly endorsed the beliefs of other physicists in the late 19th century: We did not need “atoms” to describe matter. But, by age 32, Planck had studied enough of the advances in chemistry to change his mind. He was among the first physicists to say that further progress in science would require embracing the reality of atoms. At that time, however, he was openly skeptical of the odd new statistical techniques emerging from Scotland and Austria. Somewhat avant-garde physicists there tried to derive the exact speeds of millions of gas molecules using mathematical tools, and use that information to explain more measureable aspects of the gas, such as temperature and pressure. Planck ran down their work as having a sort of pointless beauty. Then he changed his mind, again. By age 41, Planck fully embraced a statistical approach to explaining the glow of warm objects, and this about-face led him to the accidental, awkward, and mostly unwelcome birth of quantum theory. Consider the average middle-aged mind, whether in science or not. One has usually put roots in a system of belief and may even have a lot of time, reputation, and donations (or publications, tenure, and grants) invested in a certain worldview. But Planck never relented in considering each new grain of information with the same fervor as the first. In 1905, at the age of 47, Planck was the grand old man of theoretical physics at the world’s leading physics journal, Annalen der Physik. There, he promoted a new paper from the largely unknown Albert Einstein. The great majority of physicists were skeptical of the young man’s radical theory of light, in which the speed of light was constant, but distance and time were eerily flexible. But Planck saw that special relativity was an elegant and exact explanation for all the accumulated data. Without Planck championing Einstein, the young outsider—an eventual close friend also prone to changing his mind—the history of physics and technology might have been very different. Despite an austere and conservative outward reputation, Planck was even surprisingly flexible on social issues. He spoke of traditional ideals concerning a place for women in science, but he advocated for the young Lise Meitner—who would eventually help discover that atoms could be split—when she came to Berlin. He helped secure a spot for her in the chemistry department, then gave her a job as his primary assistant, and eventually supported her case to become a lecturer and eventually the first female science professor at the University of Berlin. Why? All evidence showed that she was a brilliant scientist—and so centuries of gender assumption be damned. Surprisingly, Planck never requested or expected flexibility from his peers. He famously stated what’s become known as “Planck’s principle”: “A new scientific truth does not triumph by convincing its opponents and making them see the light, but rather because its opponents eventually die and a new generation grows up that is familiar with it.” In other words, new ideas do not advance by evidence, argument, and persuasion, but rather by older thinkers with older ideas passing away. One wonders if he was being darkly humorous, but in keeping with Prussian stereotypes, he was not a very funny man in general. Now I try to ask myself as often as possible if I am following his example. Am I nodding my head at a friend’s rant because it’s comfortable? Am I tucking it away (or reposting it) because I just trust her as a member of my tribe and because it saves me the work of reading up on that topic? Can I hear arguments and digest information that challenge my comforts and make me uneasy? Whether it’s a political issue, a favorite scientific assumption, or my preferred way to make coffee, is it not true that a deeper and wider sea of information can only make me a better member of the species? Changing one’s mind is a beautiful thing. It requires the hardest work between the increasingly common and more comfortable extremes of outrage and applause.